MOSCOW, April 8. /TASS/. The Ukrainians themselves must settle the situation in Donbass, because Moscow is not a party to the conflict in the southeast of Ukraine, Russian Presidential Spokesman Dmitry Peskov told the media on Monday. This is how he replied to Ukrainian presidential candidate Vladimir Zelensky’s remark that in the event of his victory he would do his best to achieve an effective ceasefire in Donbass as soon as possible and for that he would directly contact the Russian leadership. "Russian President Vladimir Putin has said more than once that for settling the conflict in Donbass the most important thing is not dialogue with Moscow, because Moscow is not a party to this conflict. 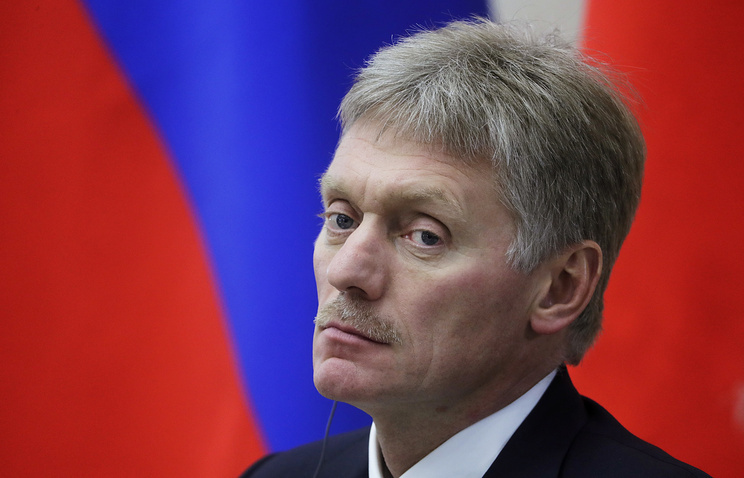 It is an intra-Ukrainian conflict and it is up to the Ukrainians to settle it, if they talk to each other," Peskov said. He answered in the negative to the elaborative question if that meant that Russia would not discuss Donbass with Zelensky, should he take the reins of power as Ukraine’s next president. "No, it does not mean that. You know that Putin is always open for dialogue, except for situations where the dialogue is accompanied by various provocations and acts of sabotage. In that case, Putin’s reaction is very clear, unequivocal and resolute. Putin has always been and still remains a supporter of a dialogue for resolving the problems on the agenda," Peskov said. On April 7, Zelensky said in a televised interview that should he be elected, he would do his utmost to achieve an effective truce in Donbass as soon as possible. He called for more active contacts with the residents of the Donbass areas beyond Kiev’s control - the self-proclaimed republics - over social issues. In particular, he pointed to the need for paying pensions. Asked if he was prepared to contact the Russian leadership directly, Zelensky answered in the affirmative. Also, he declared it was necessary to keep working within the framework of the Minsk Accords for a settlement in Donbass, adding that in his opinion the agreements should be reformed.